Spread this video around !! Libby says: Wow, great news! I would have never imagined that fluoridation could end in my lifetime. Truly want to be a part of this so I am definitely donating. Thanks for posting James. FAN is not a grass roots movement – it is a un ngo. there is likely no such thing as an environmental or ‘rights’ organization that is not a un ngo. after extensive research connecting such organizations and their multitudinous spin-offs to the united nations i know what an ngo website looks like; un credentials are very recognizable. give it a try. check out all of connett’s affiliations – they are all ngos. same as mercola, the nvic, and focus on health. several years ago i contacted paul connett and his son and asked if they were in ANY way connected to the un. both said no. after fifteen years as director of FAN i am surprised connett does not know for whom he is working. the un exists for one purpose – the implementation of agenda 21 (2030, world government et al). everything un-related is controlled opposition. paul connett is not your friend. please do not trust him to rid the water of fluoride. please do not support the un. there is enough to do without feeding the machine that is crushing us. thanks. 1. Courts can never be truly unbiased because the judge himself is a government employee. It is the government judging itself. Yes, I know “checks and balances” and all that, but still. – EPA just ignorant of the facts? – EPA approved adding fluoride when they did not know the facts, but now they just want to save face. – EPA/Government arrogance, ‘god complex’? – More sinister motive, such as a conspiracy to make population more stupid and unhealthy, intentionally? – A combination of two or more of these options? The last one. Stalin supposedly used it to keep the prisoners passive. Government is the what you deserve if you are too scared to rule yourself. At least that is my (admittedly heartless) opinion. I almost forgot; Outstanding interview! While I have zero faith in courts, just getting this out there is a huge step towards freedom. I’m really enjoying watching the government fall apart. Freedom isn’t in danger, that’s mere propaganda; government is the entity that’s losing its’ grip. Supposedly, nazis used it as well for the same goal, but is there anything nefarious nazis didn’t do? They didn’t get to coin the phrase “Final Solution”. That was from an American general in charge of “placating” the Injuns. Sorry, I just hate the PC crowd. I’m part Cherokee and I hate that Native American tripe. JimBob from fluorida. In the following interview with Natural Veterinarian Dr. Karen Becker (who is often featured on Dr Mercola’s website), Melissa Gardner discusses the link between Fluoride, raisins, and dog poisonings via raisins or grapes. People often used to give raisins or grapes to dogs, but dogs started getting sick/dying around 1990. Folks blamed it on the raisins and grapes. However, Fluoride is the likely suspect as a result of a Fluoride pesticide used on grapes. Of course, non-organic wine now contains high Fluoride levels. Melissa Gardner often works as an analyst for the (FBI) Federal Bureau of Investigation. The culprit can be Fluoride. She discusses how many foods are made with fluoridated water. And, of course, many pesticides contain Fluoride. Here, Melissa discusses ALUMINUM masking the test results for FLUORIDE. This is significant. Aluminum is used in high quantities at most water treatment facilities, being a flocculant and coagulation component to remove all the particulates (muddy stuff) from the raw water. Again, I want to spruik (Australian: To promote a thing or idea to another person ) our local North Texas Anti-Fluoride Campaign. On the website at the Yellow arrow, you will see a link to email the Dallas City Council. Please send them an email. They are culpable for the water fluoridation of the 25 cities surrounding Dallas. Anyone, anywhere can send them an email. We know from Open Records Requests that it does have an effect. e.g. We caught Councilman Callahan in a BIG lie about his emails. He said that he had received “hundreds and hundreds of emails” from Dentists, Doctors, etc. which were Pro-Fluoride. In actuality, he had less than 12 Pro-Fluoride, but hundreds and hundreds opposing fluoridation. Video on Councilman Callahan, lying like a politician. Homey R.S. , this is a good chance for cultural adaptation as well . We should adapt the far-east practice of public caning. Lying , cheating, stealing of the public trust deserves consideration. Thank you for your service to humanity. Great news. I’m lucky enough to have a holistic dentist who is very much against fluoride. I’ve shared this link with her. Thanks James for the update. This is great news! At any rate, this was a great talk, I wish more time was dedicated to some technical aspects of this issue, but what was said is good enough to help get people started on the road to becoming informed. As a side note, I just wanted to add that it’s unfortunate you guys didn’t buy all of the associated domains, those are usually not very expensive, more you purchase a larger discount you get. The Federal Agencies are in a corner. They “know” this stuff is becoming ubiquitous in the food and water supply. They “know” that it does cause damage to health and teeth. After years of saying it is safe and effective, ‘how to they backtrack gracefully without losing credibility’? Since 1962, the Department of Health and Human Services (DHHS) suggested that public tap water contain between 0.7 and 1.2 milligrams of fluoride per liter. But on Monday, the department said now it’s recommending that the level not exceed 0.7 milligrams per liter (which is the same as 0.7 parts per million, or ppm). The “Oral Health Division” at the CDC is the ONLY division that speaks on fluoridation at the CDC. The CDC is also the ONLY federal agency that actively promotes fluoridation. The “Oral Health Division” is NOT made up of CDC Scientists who study Fluoride, and in fact, the team is not composed of experts about Fluoridation. The “Oral Health Division” hires Public Relations firms (such as PEW) in order to promote water fluoridation. In addition, Scientists employed by the CDC do not study Fluoride. The EPA does not regulate additives to water (i.e. Chemicals like HFS (Hexafluorosilicic acid) added to increase Fluoride levels in the drinking water). The EPA regulates only contaminants. The EPA has dragged its feet for over a decade, allowing its science to remain subservient to Department of Health and Human Services (DHHS) CDC “Oral Health Division” policy of continuing to support the practice of water fluoridation. Thus since 1986 the EPA water division has maintained the preposterous notion that the most sensitive end point to fluoride’s toxicity is crippling ‘skeletal fluorosis’. Other than die-hard fluoridation promoters there is not one genuine fluoride researcher who would support such a position. Here is an example of how the EPA fined the company Mosaic (past provider of the Dallas Fluoride Chemical) for contamination by improperly dumping the SAME EXACT CHEMICAL WHICH IS ADDED TO THE DALLAS WATER FOR FLUORIDATION. I think this may be the next severe health problem, it also affects the mental health. Note that the studies above can not be explained away with “psychology”. I am sensitive to some EM radiation, and I have a university degree in that area. A rare combination. Non ionizing EM radiation is often downplayed, because they only consider the heat of the radiation a problem. Not any electro-chemical side effects, which are very common in biology. The effect can also be a lot stronger at certain parts of the body or cell, due to resonances and antenna-like systems. There some very old studies of the CIA on how certain frequencies are affecting the body or psyche via the nerves. This military research is still going on and kept secret. I think that we see antenna effects in nerves, DNA and micro-tubules. And depending on the frequency and power, it can have a very wide range of effects. This wide range makes it difficult to for good researchers to produce clear evidence. Sadly they also do not seem to have extensive knowledge on antenna systems or electro-chemistry. But the theory is the worst: the “scientists” model the body as a barrel of water. That is all. It must be clear that this model hides any real effect. It is a clear strawman. It is commonly used in articles that downplay the effects of non-ionizing EM-radiation. The funny thing is that the first (low frequency) radio-wave transmitters used spark-gaps. Can exposure to these sparks have a damaging effect on the body? – Certainly. Now, what if certain cells your brain are exposed to these “sparks” for a long time? Sounds familiar? – Just sit down and relax in your chair, the doctor says it will be good for you. I can’t wait for all of those mobile device addicts start to rally against mobile networks. They are already impatient for the 5G roll-out. Stupid is as stupid does. Unfortunately. JimBob from fluorida whose smart phone stays at home. they don’t fluoridate the water in Japan. Maybe that’s why Corbett is so smart lol. I live in NZ and they are trying so hard to push this on us. I don’t think people should be denied fluoride but i really don’t think dental health is really worth any side effect. “the arrogance of power” really needs to end. You know what’s really important for dental health? Sugar free diet. I’m certain these people will put all of their weight on that issue as soon as they convince everyone forced fluoride is great for them. 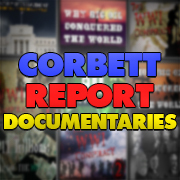 Dr. Paul Connett is probably the most articulate and well spoken interviewee on the Corbett Report that I’ve ever listened to. If he were to somehow prove, if it were the case, his own self limiting consumption of fluoridated water over the last 22 years as an activist against water fluoridation, as an argument against its use, he, himself, might be the best evidence of all, in the positive sense, to present to the court – of how the human brain can and will flourish in its absence! I hope he wins the case! I cannot help thinking, for the life of me, given this subject, of one of the most absolutely funniest and hysterical scenes, in one of the best – if not the best – satirical films of all time, “Dr. Strangelove: Or How I Learned to Stop Worrying and Love the Bomb”(1964), wherein General Jack Ripper, played by Sterling Hayden, gravely explains to Mandrake (Peter Sellers) about the communist plot to poison our bodily fluids and purity of essence with the addition of fluoride to our drinking water, even while World War III is ticking down and only minutes away…. The layers of farcical comedy here, now interposed with a new and evidential reality, do pose an interesting question as to the veracity of General Ripper’s paranoid conspiracy theory. Was it the commies? (laughing out loud) Or someone else’ idea? I, also, like that scene in “Dr Strangelove”. It is classic. Ironically, the last hit piece in the Dallas Morning News (Nov 2017) (which was prompted probably by me or Regina from pestering the author, Robert W.), featured the video clip in order to disparage our cause. HISTORY BEHIND WATER FLUORIDATION, a 28 minute interview with an award-winning journalist and former producer at the BBC. 400 pages with tons of footnotes here. The following interview with Phyllis Mullenix is a fascinating read. Not only does one gain insight about Fluoride causing lethargy/apathy/lower I.Q. and also ADHD, but one also gets some startling insight on how a group of Dental authorities would go to great lengths to suppress valid scientific research. It is pretty wicked stuff. Quite ironic, indeed, HomeRemedy. Proponents of water fluoridation don’t seem to want to get it, do they? Why? So, in the 54 ensuing years since that classic movie was released, with all the numerous and exhaustive studies published indicating the very strong possibility of detrimental health effects from fluoridation, they would prefer denying these findings, rather than pulling their blinders off? Do they find it so important and crucial the continuance that for every millionth part of a mouthful of water there be one molecule of Fluoride? Really? And that to question this protocol, even just a wee bit, is worth smearing someone for? Has this issue somehow become a matter of life and death for them, rather than a matter of a cavity, more or less? Or is it a moral issue, and they have taken up the torch of indignant righteousness? I highly doubt it, because taking up the cause for fluoridation as religion is far too farcical a reality. More likely is that there’s a cynical and vested interest to their cause. Thanks to researchers like Christopher Bryson, and with gratitude for their dedicated work, we can see historically, the nefarious subterfuge, and powerful monied interests involved surrounding fluoride production and its disposal. Oh, lest we forget, in a category unto himself, such history includes the services of the “go to” propagandist of the time, the brilliant Edward Bernays. So, it’s probably fairer to say that there are perhaps two groups of adherents wanting to see water fluoridation continue: the cynically invested, and the duped – those who think that absent the addition of fluoride to their drinking water, their teeth will rot out straightaway, as in the days of yore, and to spare a cavity, ingesting a little bit of poison, which they think isn’t poison, is worth their smile. For the latter group, may they one day wake up! For the former, may they rot!! I remember one video in which a dentist was calling for us to inform our dentists, as they just didn’t know any better. I thought of this for a while, but then also thought of all the horrible practices they do to us. X-rays without pause or protection (only recently have they put up shields, despite knowing the dangers since Madame Curie the uber-unprintable), mercury, and fluoride. Am I supposed to inform people who only believe the official story and are unwilling, or incapable, of informing themselves as anyone else? I look at dentists as harshly as I do the chemical farmers; they know better. They either just don’t want to rock the boat, or concerned only with their bank account, or are just plain incompetent cretins. All of us are responsible for our deeds. We can blame Bernays (I don’t) or we can take responsibility for our own deeds and incompetence and the plethora of other failings we humans have in our natures. We can blame the education system for failing to teach us logic, but I went through south Georgia public schooling in the 60s and 70s, and I am capable of a logical train of thought. I no longer care about those delusional freaks in their cave. I only keep an eye on the entrance so they don’t sneak up on me. JimBob from Fluorida where most of the crazies are imported from even crazier places. Wings, I hear what you’re saying, and I agree with you that as thinking human beings we are, or should be, responsible for our deeds, and are also subject to our limitations. As for Bernays, I don’t blame him, per se. Within the scope of the brief history lesson outlining the background of how water fluoridation came to be, as described by Christopher Bryson, Mr. Bernays, essentially, was simply a hired hand, a professional marketing genius, who was deftly creative in the manipulation of human psychology, thought processes, and behavior. He was hired in an attempt to alter public opinion, by whole industries becoming mired in a public relations nightmare due to the public’s growing awareness of the dire causative effects from the use and handling of fluoride among workers, with such ill effects even seen in farm animals living nearby to these centers of production. So, the industry put the master propagandist to work, and with the help of friendly scientists, they managed to quell public worry, ultimately transforming fears into happy, protective embraces, exemplified by the cheerfulness inspired by a nice set of clean, white, sparkly, gleaming teeth. But, it appears to be a con job. Hence, the title of Mr. Bryson’s book “The fluoride deception”. And it’s far from being the only deception ever perpetrated upon the public. We, as thinking, intelligent, educated, logical and sophisticated human beings can be manipulated, by thinking, intelligent, educated, logical and sophisticated human beings. It’s as simple as that. And by far, the very greatest tool in the arsenal, for just such a quest, is the exploitation of our natural inclination of, and belief in, loyalty and trust. It seems to be a pattern: Get the right actors to tell it, and people will believe it – time and time and time, again. And you’re right about something else, which only heightens the likelihood of a deception’s ultimate success: People, for the most part, really don’t want to rock the boat, and are worried about their wallets and continued income. Which all the more forces a person’s hand to look the other way, even when they know better. That personal candlelight 9/11 anecdote is very telling. I too have noticed this type of odd attitude from many folks about many topics…as if their ability to weigh relative importances, along with their ability to “act”, have faded into an apathetic numbness. We all have spheres of influence. Like your conversation, you used your sphere of influence to try to raise awareness. I admire that. That is how we better conditions. Thanks. I am momentarily taken aback by having someone agree with what I say! lol Not usually the case in my normal conversations with people. Yes, the apathy is a real problem. I don’t think it stems from a true lack of caring though. At least not all of it. Perhaps one of the biggest factors is the loss in our belief in our own individual power. So many people have been indoctrinated thoroughly in the belief that one person can’t do anything. Which is odd, since they normally vote for one person to change everything. But this is also part of my own approach towards resolving this very real dilemma. I don’t even try to “wake” people up. I just try to live my life as free as possible. If someone questions me, I normally confuse them with my response as it will hardly ever be one based upon the norms they have taken for granted. I’ve become very disappointed in the overall state of humanity, even though there have been very few people of any age who have embraced critical thinking. This is a failing on my part, but it’s mostly because diplomacy is not my strong suit and I tend to alienate people when I do try to explain something (even something that I don’t consider controversial, but it turns out they do) because I have lost patience with them. Which is probably sad as so many people seem to automatically ask me for my opinion even when they don’t know me at all. Just one of those people. But since I don’t care what people think of me, and I’m too lazy to remember lies, I am blunt and honest in my responses. This is part failing on my part, and part time-management. I hate wasting time on things I’m not interested in. I don’t know the solution to this, but I am convinced that once people realize they DO possess the ability to influence events on an individual level, global changes will take place. Thanks for making my morning, JimBob from fluorida who notes that cognitive dissonance is the standard thinking model for almost everyone. Regarding the “one person to change everything,” that’s an interesting connection you made there and yet just another nail in the coffin of logic. Anyway, I think that is so because people are fundamentally lazy and “one person” is not the problem, but they are, they don’t want to be the one so they hand the power to the almighty, the sanctimonious, the better thean themselves. Yes, it is a sad realization. But, since it has been this way for most of our history (merely more so the more “advanced” our civilization has become), it might help to counter this depressing realization by noting how we have still progressed despite the vast majority of people choosing to be nothing. Individuals have always been the sole reason humanity has some hope of freedom. Which is why the idea of the great individual is always under attack by those individuals in power. A little critical thinking would easily rip this idiotic notion to shreds, but people don’t want to think. And this is why the majority comment on the fine cut of the emperor’s clothes. Yet, individuals are always there to mock the shrinkage. :)JimBob from fluorida where he don’t cotton to no authorized thinking. …Yes, the apathy is a real problem. I don’t think it stems from a true lack of caring though. At least not all of it. Perhaps one of the biggest factors is the loss in our belief in our own individual power. So many people have been indoctrinated thoroughly in the belief that one person can’t do anything. Which is odd, since they normally vote for one person to change everything. … I think that is so because people are fundamentally lazy and “one person” is not the problem, but they are, they don’t want to be the one so they hand the power to… the almighty, the sanctimonious, the better than themselves. To that effect, what’s the difference between a pope, a president and a god? (there must be a punchline here somewhere). Damn! 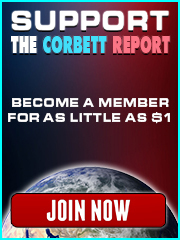 I love these CorbettReport comments. I gain insight. Thanks HRS, I was actually worried I was hogging up the comment sections with off-topic musings! Glad to hear someone got some use out of my ramblings! 🙂 JimBob from fluorida who only refrains from potty mouth postings on this site! Thanks! Love the Animals. House of the Rising Sun was the only song I ever learned to play on the guitar. So odd to see real rockers in suits. I’m not sure that most here can’t understand me though. Youboob, definitely; but I’ve detected signs of intelligent life forms on this site! JimBob from fluorida whose intentions aren’t always good, but they’re always his. The loss in the belief of one’s own individual power. Empowering authority(s). Actually, this topic has EVERYTHING to do with water fluoridation. Government agencies and the corrupt American Dental Association (which receives about $120-$130 million annually in extortion dues). A few days ago, Palm Sunday, a suburban newspaper chain which serves many cities in North Texas came out with an article about the recent, terrible water quality which Erin Brockovich has been highlighting. I was quoted in the article. The article explains how I emphasized that people should question the quality of water. However, the article toned down my tirade and slightly altered things, especially when they inserted “to a certain degree”. I did not say “to a certain degree”. By the way, over 10,000 people have now joined the Facebook “saferwaterNT” “Safer Water North Texas”. There have been a string of reports about people’s dogs having seizures from the water. And also a guy I know. A cook and a truck driver – Example of one’s own individual power. This cook, Regina, gets a bright idea last week. She colludes with a extremely sharp guy, a truckdriver. They burn the midnight oil and sew together a well scripted plan. They put together a “plank”, a resolution to be added to Texas Republican Platform. The plank first has to be presented to the local North Texas Republican delegation for vote approval. Late last week it passed locally! In fact, out of all the proposed resolutions, this one received the best enthusiastic response from delegates. It was very noticeable. Now, the plank resolution will go to State. But get this… The local State delegate who has clout, has high ranking, who is an activist and a Minister, who is well-informed about Fluoride, and who happens to be African American will be carrying this resolution to the State level. He will push it hard. It don’t get no better planned than this. All done in less than a week by a cook and a truckdriver. A resolution to recognize that the current fluoridation of public drinking water supplies is dangerous, harmful, careless, and unethical. And that the addition of fluoridation is expensive, ineffective and should be banned in the Great State of Texas. WHEREAS, fluoride is medically not to be ingested. WHEREAS, toothpaste gives warning to not ingest, and if ingested, to call poison control. WHEREAS, the fluoride used to fluoridate the public drinking supply comes from the waste of the phosphorus industry. It is a hazard class 8 corrosive and secondary class 6 poison. WHEREAS, this waste product that is added to the municipal water supply as the fluoride additive is called fluorosilicic acid which is not a pharmaceutical grade fluoride. WHEREAS, the added fluoride does not treat the water in any form or fashion. WHEREAS, fluoride is not an essential nutrient and is not a required component for human growth and development. WHEREAS, 97% of Western European Countries do not add a drop of fluoride to their water supply. WHEREAS, fluoridated countries do not have less tooth decay than non-fluoridated countries. WHEREAS, fluoridation is a violation of the individual’s right to informed consent to medication. WHEREAS, fluoride is a endocrine disruptor and can affect many parts of the body like the: bones, brain, thyroid gland, pineal gland and blood sugar levels. WHEREAS, fluoride is recognized as 1 of 12 industrial chemicals known to cause developmental neurotoxicity in human beings. WHEREAS, the CDC says that 40% of American teenagers show visible signs of fluoride over-exposure. WHEREAS, fluoridation: A “one dose fits all” level is unacceptable. THEREFORE, BE IT RESOLVED, That the Republican Party of Texas supports banning the fluoridation of the Texas water supply. The truckdriver’s name is Bob. So, we all know that he is an okay guy. As JimBob well knows, “Bob” is many times added to a person’s name in the southern U.S. Yes, Bob being added to a name in the South is much akin to the title Don in Spanish or Sir for the knighted ones in England (this last one is a wannabe as no true honorable person would ever be knighted. How ghastly!). It will be interesting to see how they kill this at the state level. After all, the state does not exist for our welfare, but for its’ profit. But I think Texans are a bit more active in their politics than most states. Not sure if it makes them freer than the others, but at least they are more aware of their being screwed over than in most. Strange how these imaginary entities never actually abide by those ritualistic rules of law they keep yammering on about. At least they are better than the reconstruction state of fluorida where I reside within it’s magical lines of dominion. Here, we’ve had marijuana legalized for medicinal purposes for a while, even longer for the non-THC versions and the state is still not complying with the very laws it’s supposed to hold so sacred. In effect, the entire fluorida government is, by its’ own holy decrees, a criminal organization. Not that I’ve ever had any doubt in that regard. JimBob from fluorida upholding the honor of not very much for a very long time! Who knows? The power of one. The power of two! Remember a couple of years ago – the anti Monsanto movement started by that one young woman with an idea and a message? Unfortunately, movements can be like waves, they can roll in however fast or slow, reach a crescendo, crash and recede. I haven’t heard, for instance, much about the anti Monsanto, anti GMO movement lately, nor any recent news about legislation forcing the mandatory labeling of produce and related products, or curtailing the proliferation of GMO seeds, etc. For any important issue, it’s crucial for people to become aware of the fact that their own skin is in the game, effecting life and health. Witness the massive student movement for gun control, wherein young voices are fervently speaking out. I haven’t heard or seen anything like this since circa 1969-70, when you had massive rallies, with students walking out, speaking out, marching, and organizing moratoriums to end the Vietnam War. It’s crystal clear to see how this perception of having skin in the game, regardless of the cause, is wildly motivating. And, may I add, a number of the student speeches that I’ve listened to were very fervent, and moving! It’s coming from their gut, from a sense of danger, and a sense of betrayal. And they see the preeminent profit motive, and only secondary, their safety and well being. Translating this for the anti fluoridation movement, I see no greater motivation for outrage than the profit motive here. With that sweet, sweet loophole in the regulations, permitting the dumping of industrial waste, what in a sane world would be considered toxic pollution, is, under current regulations, named simply as that of a water additive. It doesn’t get any more bizarre than that, I don’t think….. No, maybe it does…..far more bizarre. Far, far more bizarre. At any rate, I can think of a few. Last week, at a conference on environmental epidemiology in Germany, members of this same research team announced additional findings that confirm and strengthen their original report (STUDY LINK). Very young children, age 1-3 years, also show loss of IQ. In other words, their study now covers the ages of the offspring from one to twelve years. Interviewed are both Michael and Paul Connett. I really enjoyed listening to Michael and Paul. They communicate things so very well. If sugar distroys teeth: Will dentists lobby campaigns against it? If Fluorid lowers number of cavities: Will they lobby it, diminishing their profits? Why then antifluoride activists repeat this unlogical claim? I am a dentist by the way. I would like to find some graphics in relation to “Dental Fluorosis”. I know that swallowing Fluoride upsets many enzymes in the body, among those are enzymes which effect the enamel formation of the teeth (or bones). The hydroxylapatite becomes more porous with fluoride, because the normal matrix growth is different. This results in white splotches or brown colorations, and also, teeth or bones can become more brittle. I am interested in some graphics which show this porosity formation as opposed to normal bone/tooth matrix. Graphics on a kindergarten level are preferred. I am an Activist in the North Texas area. I work on this website and with campaigns. Could it be possible some dentist associations receive funds from nefarious sources to push for fluoride? The rest is just guilt by association. Shocking Government Coverups Hide Fluoride’s Connection to Cancer! Melissa Gallico seems to have made some progress. Wow! Thanks mkey! I really appreciate the post. Melissa Gallico presents herself extremely well. Melissa talks about people being sensitive to fluoride, but they may not recognize that fluoride is causing the symptoms. A little girl suffers from SEVERE DEPRESSION as a result of fluoride. I learned a lot from Melissa’s book. I am currently doing Iodine supplementation, along with other tidbits which she mentions in the book. Water treatment professionals are not doctors… dentists… or pharmacists. Dosing a community drinking water system with any substances for the purpose of achieve medical result is just fundamentally WRONG! Kudos to Melissa for pointing this out. Erin Brockovich is attracting some much needed attention to the issue. Direct link to the study itself. I have been trying to get time to update our Dallas Fluoride website with Melissa-ErinB and also the news of the 3 studies. The Erin Brockovich Facebook link will help. NBC sure put out a long article slanted towards the pro-fluoridation camp. I guess these recent October studies on fluoride’s adverse health effects are beefing up the pro-fluoride propaganda. •”Significantly more infants, particularly those under six months old, will exceed the UL [Upper Limit] when consuming formula reconstituted with 0.7 ppm [fluoride] water, increasing their risk of developing dental fluorosis.” (Journal of Clinical Pediatric Dentistry, 2018). I want to thank you for your help. I notice you on occasion around the world, such as the YouTube comment. I used an image of Erin Brockovich’s Tweet the other day which you posted. I don’t do Facebook so I can’t sign on to Melissa Gallico’s private Facebook. Yesterday, she emailed me to say that she posted a video on her Facebook which I sent her which validates her Acne story. Previously, I sent this video to her which also validates her book’s chapter discussing depression. This is just one of the multitude of very important issues and anyone can do something to help. Even if water fluoridation isn’t a thing in their neck of the woods. Yet. We’re so far gone that one can’t do wrong if their goal is to break the now crusted “ma&pa gubment” image. When you consider how much rides on this one it’s really worth it, because it raises attention on general health, diet (sugar) and LOCAL government priorities. It’s far to easy to blame the feds for everything, isn’t it? We do not get extra fluoridated water herr, but we do have tonnes of it in the tooth paste. Unless one takes the time out of their day to get informed and expressly opts out of the spiked tooth paste. Which, as I pointed out once already, isn’t exactly a straightforward process since alternative tooth paste sources are not ubiquitous. I’m also in the process of installing some multi staged water filters, there are some technical hurdles along the way. While the water isn’t fluoridated, it’s choke full of many not very nice compounds. I figure, by purchasing bottled water I’m just adding to the problem. Honestly, I personally don’t know what the best cost-effective home water filter or distiller can be. I also am sure that it depends upon the individual situation. I have been doing bottled water for years, but I don’t like doing it for several reasons. The jury is still out for me on where I’ll spend my nickel, because my nickel bag is pretty light. My buddy gave me his old ‘under the counter reverse osmosis system’, but I am going to have to throw it away because the tank and lines build up microbes. This fairly recent podcast by Robert Slovak (water filtration guy) is very interesting. I don’t mean that everything he says is gospel, but there are points which align with common sense. I’m planning to install a 3 or 4 stage filter with a cotton filter, a ceramic filter and an active carbon filter. I’d also put either a double cotton or ceramic. I’ll definitively have to look into how often the system will need to be drained. These passive methods have their advantages, but I’d bet all sorts of bacteria develop a lot better in a dry filter than they do in a submerged one. All in all, I’d really like to have an access to a well. Personal anecdotes really help on things like this. 7 months have past. Where does the Northern California suit stand now. Oct, 20, 2018. Can You kill this beast or are we dealing with Dracula? Well it is almost Halloween. Summer of 2019 is when the court date is set. Currently, experts and documents are being collected and organized. I have noticed a stronger push from the Pro-fluoride contingent ever since the Lawsuit court date was set. There will be some EPA officials who will be sweating on having to testify. WatersKrausPaul is a huge lawfirm which helps with Class Action Lawsuits and folks affected by toxic substances. I recognized one of the founders of WatersKrausPaul, C. Andrew Waters,(Andy Waters), who makes Dallas his home. Andy Waters helped with a Class Action Lawsuit regarding vaccines for a friend of mine, Joe C., back around the year 2001. You can see Andy and also Joe C. in this local Dallas ABC News Special Report, circa 2001. Joe got the Class Action Lawsuit started. Other families joined from around the country. The families were suing the Big Pharma companies over the mercury and vaccine damage. The lawsuits looked to be a sure win against vaccine makers! After 9/11/01, The Patriot Act was put forth before Congress. Both the House and the Senate agreed NOT to sneak any other non-related legislation into this voluminous Patriot Act. However, the top ranking Republican Senator Bill Frist did sneak in legislation which essentially made it impossible to sue the vaccine makers. Thus, the Class Action Lawsuit went to the garbage pail. Senator Bob Frist owned HCA (Hospital Corporation of America ) which at the time was the largest hospital chain in America with over 400 hospitals and surgery centers. Andy Waters is quoted in this last link. No longer does the media cover vaccine damage like it did around the year 2000. It is worth noting the excerpt below from the last link above. Calgary (defluorinated since 2011) has the Pro-fluoride guys busy. The Pro-guys faked a study awhile back. They seem to be pushing fluoride hard. I often see mentions of Calgary on the FAN news feed. The ADA prefers to use poisons such as mercury and fluoride, and also squelches attempts which expose their standard toxic methodologies. With the American Dental Association (ADA), credibility and industry favor ranks higher than the health of patients. The Fluoride Action Network (FAN) just wrapped up its end of the year “fundraiser”. It fell short on both the monetary target and also on the “number of contributors”. The “number of people/contributors” who support FAN is a very important statistic. It helps to elevate the image of FAN, and also likewise, helps to draw more supporters. Even a token $5 is fine. “Head Count” is a very important statistic. It demonstrates number of supporters. There is a lot to be said about the almost 3 decade old struggle against the EPA Administration’s policies on fluoride (even by thousands of EPA scientists and employees who fought the EPA). That’s great news Homey! Ive been pounding The Mayor about reelection, gaining some political coinage on an inevitable outcome. Saving the city money or at least freeing up money for other less dangerous , more pet things in the future. Imagine a Mayor who cares about the health of the northside? ( like Republican James Inhoff did in winning heavily Democratic north precincts ) He could ride that horse for 5 terms. The money must be huge for ‘thems’ to fight so hard to maintain the status-quo. In his 2017 volume, Pregnancy and Fluoride Do Not Mix, John D. MacArthur pulls together hundreds of studies linking fluoride to premature birth and impaired neurological development (93 studies), preeclampsia (77 studies) and autism (110 studies). The book points out that rates of premature birth are “unusually high” in the United States. At the other end of the lifespan, MacArthur observes that death rates in the ten most fluoridated U.S. states are 5% to 26% higher than in the ten least fluoridated states, with triple the rate of Alzheimer’s disease. A 2006 report by the National Research Council warned that exposure to fluoride might increase the risk of developing Alzheimer’s…. “Tom Brady, the star veteran quarterback of the New England Patriots and now 6-time Super Bowl winner, has recently authored a book on staying healthy in which he mentions fluoride in water. “In chapter seven of his new book (The TB12 Method: How to Achieve A Lifetime of Sustained Peak Performance), while discussing the importance of hydration, Brady acknowledges the risks of ingesting fluoride, advising readers to remove it from tap water by filtration. The CDC (or rather the PR firm within the CDC) has been the main governmental body promoting water fluoridation. On February 1, 2019, the CDC issues a new report that young children are swallowing too much fluoridated toothpaste. There are going to be a lot of angry folks. Most people are unaware of what causes the pits and white spots, or easily stained teeth, or easily cracked teeth. Cosmetic dentistry is the future cash cow. This F chemical is now in most American waterways. Thank you Homey for taking the time to post this. This was the first thing I read on a Sunday morning and really enjoyed the cup of chicory & coffee listening to this documentary. Sometimes individuals make a difference. During February 2019, a dangerous health damaging situation occurred in a Salt Lake City suburb. Sandy, Utah has a population of about 90,000 and is filled with ranch and farmhouse style homes. A power outage in Sandy, Utah on Feb. 6 caused dangerously high levels of fluoridation chemicals to enter the drinking water supply, which then corroded the pipes allowing high levels of copper and lead to enter the system. These three poisons (fluoride, lead, copper) made numerous residents ill, including a 3-month old baby. The local media is also reporting that the city failed to quickly notify the state of Utah or its residents of the dangerous contamination.